Hi again my lovely readers. 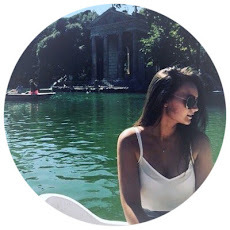 If you hadn't already noticed I have just recently started the March Blog-A-Thon in which I write a new post every single day in March... (31 posts in total!) Apart from beginning to think I am a little bit loopy for embarking on such a challenge, I am genuinely rather enjoying it so far! As a combination of celebrating my recent re-launch and this immence Blog-A-Thon, I naturally thought what a perfect time to have a giveaway! So here it is! 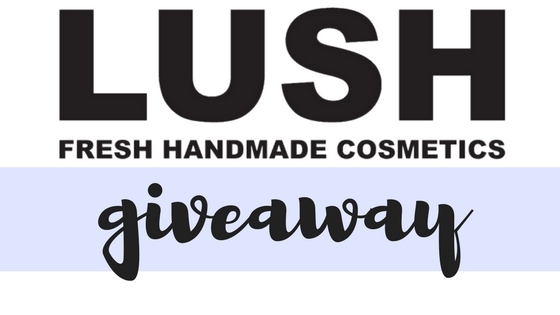 If you would like the chance to win some LUSH Cosmetics goodies, please continue to read below! When it comes to a LUSH giveaway, the prize was always going to be a hard one to pin down. First I thought of a gift set, then the newest collection release, oh and what about just a random assortment of my favourite products? ... but what fun is that? LUSH has such an array of different products for different skin types, different moods, in such a wide variety of different scents to suit all tastes. Choosing specific products for an individual can therefore be one heck of a mission...my conclusion ... why not let them choose their own! So that is exactly what I am going to do! Then please read below on how to enter! 1. The winner of the giveaway will be selected at random from the people who have retweeted the designated tweet. I will confirm you are a follower on Twitter. If you are not following my twitter account your entry for the giveaway will not count. 2. This is a UK only giveaway. 3. The winner will be announced on my twitter page (@lillioflondon) on 1st April. 4. If you are the winner of this giveaway I will require your address to send the prize to you! Therefore if you are under the age of 16 it is essential you seek permission from a parent or guardian before doing so. 5. If you have any questions or queries regarding this giveaway please do not hesitate to contact me on lillioflondon@hotmail.com.